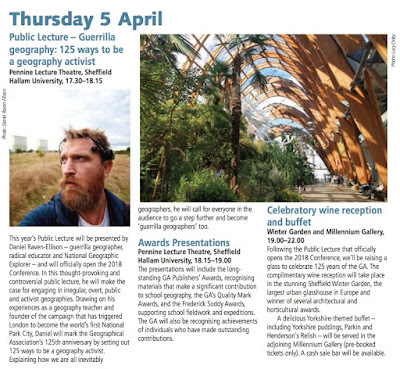 So, after months of anticipation, the Geographical Association Conference starts tomorrow in Sheffield. The first day will feature a number of events, which will include a lecture by Mission:Explore colleague Daniel Raven Ellison on Guerrilla Geography, followed by the GA Awards which are always a pleasure. These will be followed by the wine reception in the excellent Winter Gardens, before a few drinks being taken in the city. There will also be a special 125th Anniversary exhibition of books and other materials from the Fleure Collection: an archive of over 10 000 geography education materials (books, journals etc.) , which is stored at Solly Street. I have helped to curate a selection of materials from that archive which will be of interest to Secondary colleagues. Seek that out during the conference. There are also some special 125th Anniversary pin badges, so I hope to get my hands on one of those too. 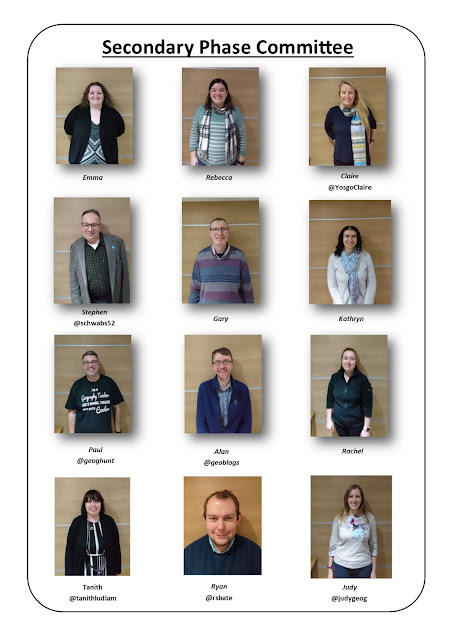 Come and say hello to the GA Secondary Phase Committee members who are there... we aren't all going to be present, but look out for our lanyards / hoodies depending on the event... I look just like my picture. We're also running a couple of workshops during the event, which are clearly labelled in the conference handbook. We'll also be tweeting the 125th and final of our #125geotips on the @ga_spc Twitter feed. If you're tweeting, use the #gaconf18 tag and we'll see if we can get the event trending.